Izabela Depczyk is the Founder and Executive Board Member of The Native SA and the Managing Director of Paddle8. Depczyk was previously the CEO of Artnews and is currently the youngest female board member of a Swiss publicly listed company. Born in Poland, but raised in Switzerland, Depczyk holds a BA in Political Science as well as an MA in International Law from the University of Edinburgh. 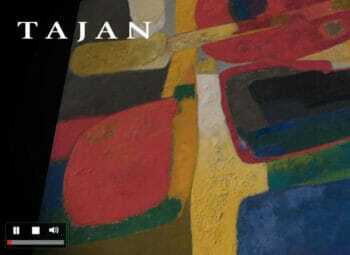 Paddle8 is an online auction house, based in New York, originally founded by Alexander Gilkes, Aditya Julka and Osman Khan in 2011. Paddle8 focuses on selling artworks between $1,000 – $10,000. 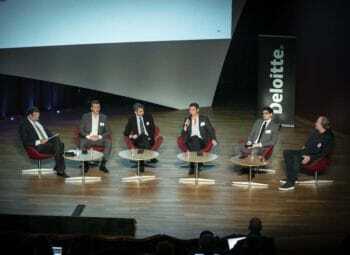 The Winklevoss brothers are long-time strategic advisors to Paddle8 and early champions of blockchain technology, they have long advocated for its application into new industries such as the art and auction markets. Hello Izabela, we have been looking forward to chatting with you. So much art is being bought online at the moment and Paddle8 is one of the main online auction houses. Can you tell us about your hopes for the company? In the short term, we are focused on becoming the number one platform for online auctions within our top performing categories of Street Art, Editions and Photography. We are also continuously expanding the services we offer to our non-profit partners with our latest launch of Paddle8 Studios (the content marketing and content production arm of Paddle8). We pride ourselves on helping our 200+ non-profit clients raise funds through our digital platform. 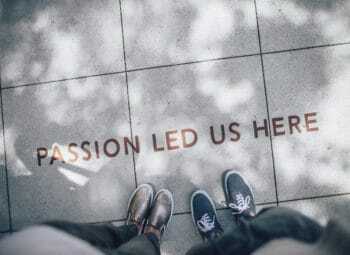 In the long term, we are exploring ways to expand our product offering, beyond art and into new collectible categories, and growing our audience and reach. In 2018 the partnership between The Native and Paddle8 was announced. Can you tell us a bit about this partnership? The Native is a digital marketing and e-commerce services company. Our strategic investment into Paddle8 was driven by the many business synergies between our two companies. While we are only six months into our partnership, we have already launched several new products and services and have more in the works. In April we jointly launched Paddle8 Studios which is the content and digital marketing arm of Paddle8. In May we launched P8Pass – the blockchain powered certification for artworks traded on Paddle8. P8Pass is the fruit of the collaboration between Paddle8 and The Native’s portfolio company Blockchain Lab. There are several other projects that we are also working on which we will be announcing when they are ready. What we hope to be the biggest achievement, however, will be the benefits and enhancement of services to Paddle8’s various clients. Paddle8 Studios has become the key tool in promoting some of the auctions we produce for our non-profit partners. 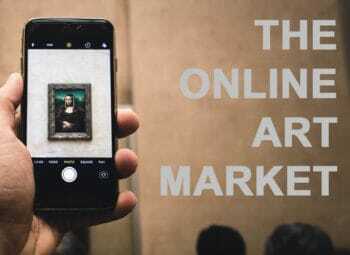 Through engaging content, we drive increased, targeted traffic and thus more bids, while P8Pass is a great tool in helping bring transparency and security to the online art market. P8Passes leverage the Bitcoin blockchain to build a decentralized database containing certificates of authenticity and provenance for artworks providing a guarantee, accessible and verified at any time. What has Paddle8 learnt from the Auctionata failure? What is your personal take on that? The merger with Auctionata was before my time with the brand so I cannot comment on specifics. That said, we know that online art sales are the way of the future, so we believe strongly developing the best platform for this market. Earlier this year you announced you will be offering a P8Pass for each work Paddle8 sells online and this information will then be encoded on the Bitcoin blockchain. Can you tell us a bit more about this authentication service and how far it will go in terms of improving transparency in the market? P8Pass is the first product from Paddle8 Lab, whose mission is to forefront technology and innovation for the online art and luxury markets. Conceived of and developed in close collaboration with Verisart and The Native’s Blockchain Lab, P8Pass is a digital certificate with data encoded continuously onto the Bitcoin blockchain. The certificate is offered for any work of art or object purchased on Paddle8 and details provenance including ownership history and artist authorship. Each P8Pass functions as a unique fingerprint that is encoded into the distributed public ledger of the Bitcoin network. 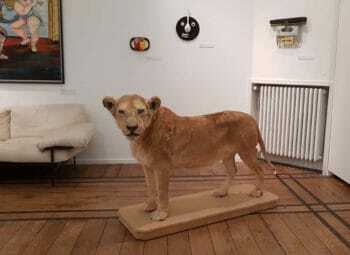 By encoding the artwork and artist information using industry standards like CIDOC, JSON-LD, and Getty taxonomy, the database is interconnected, easy to query, and standards compliant. The application of blockchain technology ensures that the data is stored in a decentralized manner and once recorded in the Bitcoin blockchain, cannot be modified without making the change transparent to all users. You will also be introducing blockchain-based sales, the first sale accepting Bitcoin is expected to happen on 18th What are your expectations? 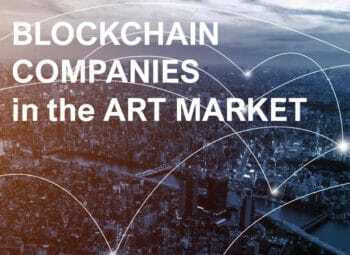 Do you think Bitcoin will become widely used in the art world? Our cryptocurrency initiative is evolving. We are actively researching the potential for a fine art sale geared towards cryptocurrency investors but have postponed our plans for a cryptocurrency-based auction for this month. What we have learned though is that there are other categories that have more synergy with this client base. We are currently developing a wine business from our Swiss location, which seems to have comparatively a much better traction with cryptocurrency owners rather than fine art at this time. 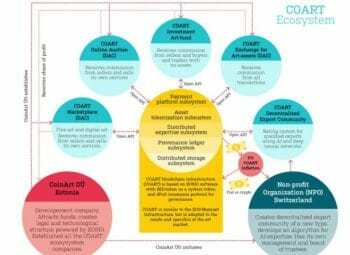 Most blockchain start-ups have signed a memorandum of understanding with Codex Protocol. What is your take on Codex Protocol? Codex is working with Live Auctioneers (aggregator) and Auction Mobility (white label auction service provider) but we are not aware that most blockchain start-ups are signing an MoU with Codex. There are those who are still sceptical about the use of blockchain technology, with doubts about how robust the system is at this stage and the challenges with data privacy, cyber security, artificial intelligence, infrastructure and competition. What is your stance, do you see any of the above as concerns? Infrastructure and scalability are certainly concerns on public blockchain networks as we’ve seen in the past but we are also in the early stages of this technology and we are confident that the infrastructure issues will be resolved over time. Data privacy and security are issues with any connected network and this is not an issue specific to the blockchain. We have always prioritized the privacy of our clients, and we will always continue to offer the discretion we’re known for. Paddle8 works closely with emerging artists as well as those who are more well-known; can you tell us about any you are particularly excited about at the moment? I love learning about artists from my talented team of art specialists at Paddle8. The artists I’m most excited about are Julie Curtiss (we just sold a terrific work by her with our BAM benefit partner) and Toyin Ojih Odutola, who has gotten some fantastic buzz. I have also been following Wang Ningde, who had a sell-out show at Bryce Wolkowitz earlier this year and Tomoo Gookita, who is holding a major show at Blum & Poe this September. I also really loved the recent New Yorker story on Henry Taylor, he has an exhibition coming up this fall that I am looking forward to seeing. You also help many artists get their foot on the ladder and reach an international audience, are you seeing an increase in young artists selling their works? 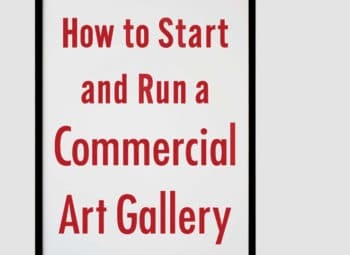 The market has shifted away from emerging contemporary towards more blue-chip 20th century artists, yet emerging contemporary artists are embracing new methods of distribution and marketing to draw new collectors to their work and practice. 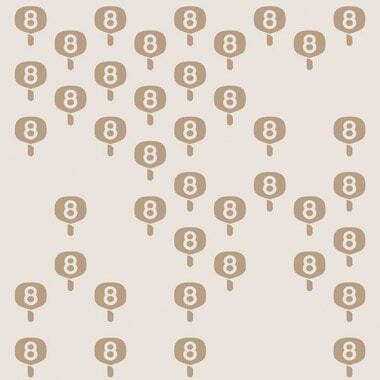 With Paddle8 you are of course able to view the works online before buying. You are now also able to experience works through VR. 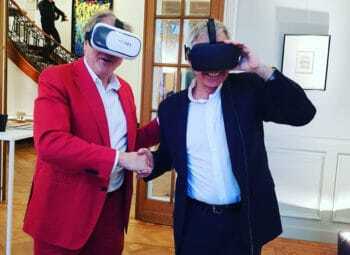 Do you think viewing works online and through VR will overtake the need to go to galleries and museums? Technology aids access to artwork, but has yet to equal the in person engagement. VR has the potential to enhance the physical interaction by creating further context to works and allowing collectors and viewers to step into the artist’s world via gamification. This technology is poised to create experiences around major works and limit the need for works to travel distances for private viewings and sales, it’s very exciting. Most auction houses have invested thousands of dollars to be GDPR compliant. What have you done to meet the new EU regulation? Paddle8 has the sister company in Germany called asknet AG (www.asknet.com) that runs all of Paddle8 tax, KYC, AML and GDPR compliance according to the rules and regulations across 180 countries around the world and is a specialized e-commerce solutions firm with 22 years of experience and investors like Softbank and Digital River. We feel Paddle8 is in good hands here. 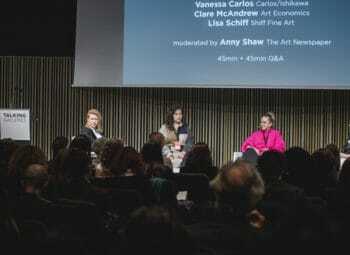 There seem to be more and more art fairs around – What’s your view on art fairs? – Do they put artists at a disadvantage in terms of them having to churn out lots of work? Art fairs are the primary international marketing channel for galleries and artists seeking to broaden their collector base. 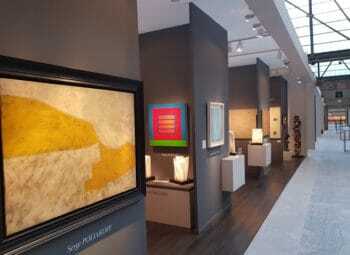 The proliferation of art fairs is to a large extent fuelled by the trend for “city culture appeal” where the local and city governments spend increasingly more on bringing international culture, tourists and business visitors to their cities throwing in subsidies and other perks to art fairs organizers as this is a proven method to achieve that objective. Galleries go with the flow and benefit from the marketing the art fairs’ organizers and host cities put forward. This is generally a good thing as more people visit and become familiar with artworks and the art market. For artists, I think fairs are another avenue for sales so if that is the goal of an artist, I can see it also benefitting them. Lastly can you tell us what the future holds for you and Paddle8? I’m excited to continue to innovate and to help take Paddle8 to the next level…stay tuned!